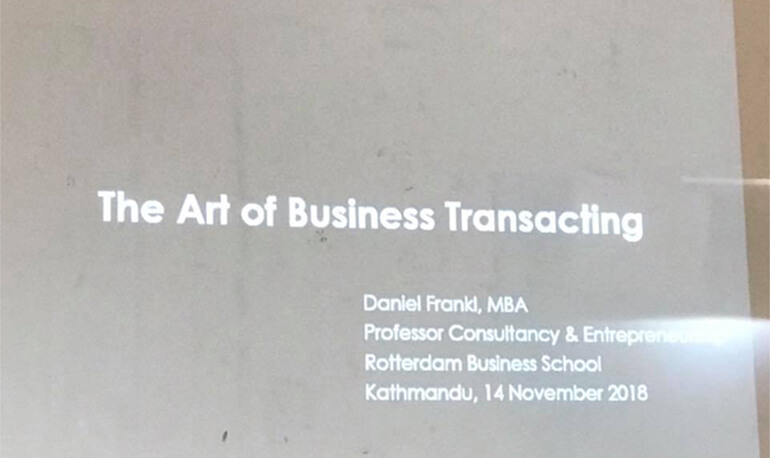 The III year BBA students thoroughly enjoyed the session on 'The Art of Business Transacting' conducted by Professor Daniel Frankl, Senior Lecturer from Rotterdam University, Netherlands. His opening question, "Who are you as a business?" surely has made the students more aware of why communication and behavior are related disciplines. They got more information on importance of shaping their behavior and adjusting across cultures. KCM family is grateful to Professor Frankl for the insightful lecture and behavior challenge workshop.